Engage all K-12 students in mathematics learning. Our customized professional learning will help you increase your understanding of student mathematical thinking, consider the implications for your teaching, and improve your classroom practice. 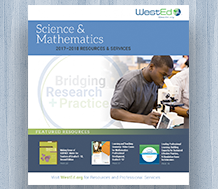 WestEd mathematics educators customize a two-day workshop — for both teachers and teacher leaders — to address local needs, adding optional ongoing support through online discussion groups and webinars. Our workshops are built around video cases that engage teachers and/or leaders in mathematics tasks, analysis of classroom or professional development video clips, discussions, readings, and tasks designed as a bridge to teachers’ and leaders’ own practice. Based upon your identified needs and specific workshop topics, a variety of materials will be used in the sessions, including College- and Career-Ready Standards for Mathematics and/or state or local standards; and WestEd research-based products and services including Making Mathematics Accessible to English Learners: A Guidebook for Teachers, Learning and Teaching Linear Functions, and Aim for Algebra. WestEd mathematics educators and researchers, with more than 20 years’ experience in mathematics teaching and professional development, will collaborate with you to plan, customize, and facilitate professional learning sessions to meet the needs of your school, district, or regional site. Two-day workshops with flexible dates are available for school or district teams of up to 35 people. Each workshop, including all accompanying materials and facilitator travel and expenses, costs $10,000 per site, for up to 35 participants. To learn more, please contact WestEd’s Katie Salguero at 650.381.6426 or ksalgue@wested.org. 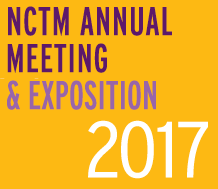 Check out our presentations and visit our booth, April 5-8, in San Antonio.